The ‘What is …?’ series aims to demystify some of the terminology, techniques and practices used to assess and act upon clinical and economic evidence in healthcare. For an exclusive 15% discount, register your interest by completing our online form https://haywardmedical.wufoo.com/forms/what-is-series-registration/ before 31st July 2014. First published in the late 1990s and last revised in 2009, the ‘What is …?’ series – which communicates key issues and concepts to readers in a concise and accessible format – has enjoyed huge success as a complement to training courses in both academia and the pharmaceutical industry. 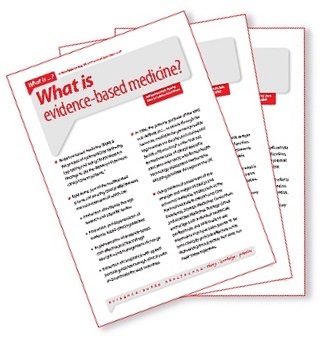 To help you keep pace with the constantly evolving world of evidence-based healthcare, Hayward is now updating the series again. Leading authors who have contributed to the 2014 editions include Professor Michael Drummond, Professor of Health Economics at the University of York, and Dr Alan Haycox, Director of Liverpool Health Economics at the University of Liverpool.